I don’t write full reviews for every book I’ve finished — most, in fact, don’t have a full post’s worth of things to talk about. So here, let me write a few paragraphs for a bunch of books I finished in September. 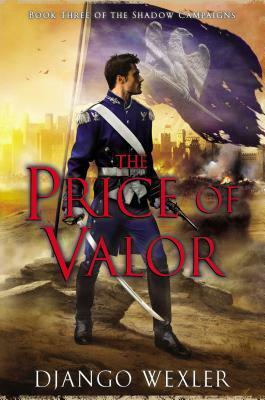 The Price of Valor, Django Wexler. Five stars. Many of you know I am often Django’s alpha reader and always number one fan. This book, the third in the Shadow Campaigns series, made me a little sad that I had rated the two earlier ones so highly, because I felt like this one blew it out of the water. I like all of the characters, but Winter is superbly awesome in this one; the conflict between her love for Jane and the importance of her career in the army is deeply felt, and masterfully done. Oh, and we get a return of the characters who spent last book on a boat: Bobby, Feor, Give-em-Hell and Preacher. I love the new characters, too: Andy, Viera, etc. Janus continues to be Janus. He and Winter have some really powerful interactions in this book. I love Raesinia, and I’m okay with her burgeoning romance with Marcus, which begins to be felt in this book. It lends Marcus some dimensionality, too. Also, Sothe is a badass, which is a given. Having read the outline for the series, every time I write about these books, I have to avoid shouting, “I KNOW SOMETHING YOU DON’T KNOW” in a Carol-Kane-as-Ghost-of-Christmas-Present-in-Scrooged voice. All that said, sometimes the books still surprise me. See: all of Jane’s actions at the end of the book. 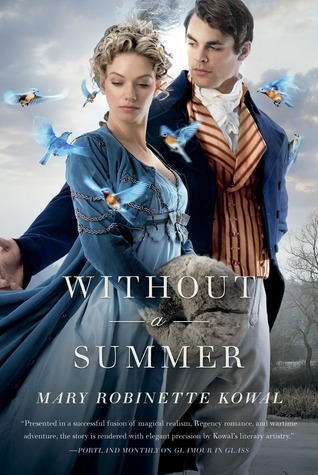 Moving on to a very different Jane, we have Without a Summer, by Mary Robinette Kowal. (Four stars). This is the third book in the Glamourist Histories, continuing the adventures of Jane and Vincent in London, creating a glamural for a *gasp* Irish Catholic lord, and trying to get Jane’s sister hitched — all against the background of the famous Year Without a Summer. While I had enjoyed the earlier two books, I was never as excited about this series as I wanted to be. This book changed that by being supremely engaging. Mostly, I feel I connected more with the characters than I had previously. At one point in time Jane realizes that she’s spent most of the book making a grievous error of judgment, and her mortification is palpable. The reader ends up feeling vindicated as a result, as the prose has simultaneously set us up to root for the wronged character. What’s really beautiful about this book is how Kowal handles race and religion in the 19th century. Kowal’s magically-enhanced 1816 London includes Irish and Catholics, Southeast Asians/Indians, black folks from Africa and the West Indies — and, often, the ugly stereotypes about them. Jane navigates this setting, first with benevolent racism from a position of ignorance, and later, challenging her narrow-minded beliefs. This book also had some moments of real tension for me, especially near the end, where I found myself asking how they could possibly get out of this. 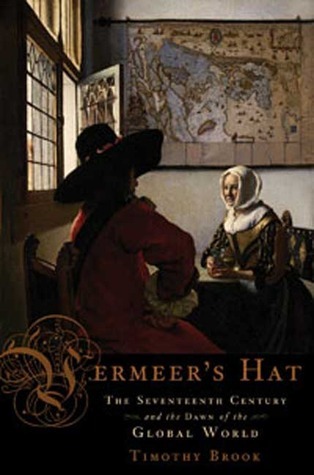 Vermeer’s Hat: The Seventeenth Century and the Dawn of the Global World, Timothy Brook. Four stars. This book has a lot of negative ratings on Goodreads due to what I think is a misunderstanding. If you just read the title, you might think this book was about art history, and would talking about Vermeer extensively. It doesn’t, really. As the author explains, he uses Vermeer’s paintings — and sometimes other contemporary pieces of art — as “windows” into the world of the 17th century. For example, we look at the skyline of Delft in one of Vermeer’s paintings, with the buildings of the Dutch East India Company visible, and we talk about the Company’s trade with Asia. But we don’t talk about Vermeer’s motivation in painting it, or how he managed to portray light in such a unique way. The author is by vocation a scholar of Chinese history, so his perspective on history is more inclusive than I’m used to seeing. We hear a lot about what was happening in China in the 17th century, understandably; certain chapters also talk extensively about the Algonquin and Iroquois and their interactions with Samuel de Champlain. To me, this was fascinating, and ended up giving me a lot of ideas for other books in the Lioness series. I found most intriguing this view of the 17th century as the “century of second contact,” the Western world becoming more dependent on products like furs from North America and porcelain from China. That was September! If for some incomprehensible reason these reviews have motivated you to read these books, you can thank me by buying them through the affiliate links above.